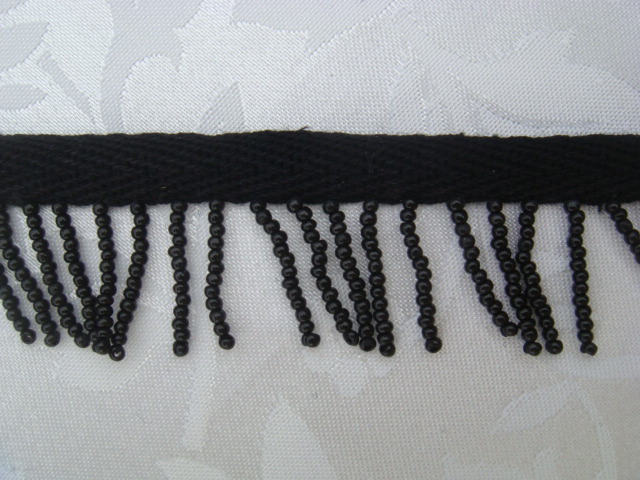 This price is for 1 yard Black beaded fringe lip cord trim. The width of the trim is 1 and one-eighths inches. The fringe beaded part is only three-quarters of an inch. This black beaded fringe is great for fabric embellishments, clothing, art and craft projects.